Mere hours away from a 48-hour deadline imposed by Egypt's army, Muslim Brotherhood leading figure Mohamed El-Beltagy releases a statement pledging resilience and support for the "people's will," and condemning the army's ultimatum. Multi-million protests filled Egypt's major squares on Sunday 30 June to oust Brotherhood-fielded President Morsi, with much smaller but emphatic counter-demonstrations in limited areas. Amid this political impasse, the Egyptian army issued a concisely-worded 48-hour ultimatum to all political forces on Monday to come to a resolution that would "fulfill the people's demands," otherwise the army would present an inclusive political roadmap. "We will stand resilient in the face of this military coup in total peacefulness, and will stand by our just position. God is a witness that we have taken this position to protect a person or a brotherhood, but in solidarity with the people's will," reads a statement accredited to El-Beltagy on the website of the Brotherhood's political arm, the Freedom and Justice Party (FJP). The Brotherhood is speculating that the Armed Forces' ultimatum is to ease in a military coup. Anti-Morsi Rebel campaign who organised the nationwide protests deny rumours of a military coup, countering that "the Egyptian people is who will give orders to the Armed Forces to move," in a conference Wednesday afternoon. On Tuesday night, President Morsi responded to the masses in a televised speech in which he emphasised the importance of "legitimacy," and called on the army to revoke its "warning;" referring to the ultimatum. The president also blamed the former regime's corruption as a main reason for Egypt's current crisis. El-Beltagy added via Facebook: "We have taken this stance only to denounce the scenario of the past 60 years and its entire tragic ramification on the nation and state," as many view Egypt as, essentially, a military state for 60 years. The Brotherhood leader continues, "May God witness - and history record - that we have not attacked anyone but we were rather assaulted in every shape and form." Here he referred to killings, vandalism and insults to Brotherhood members. El-Beltagy also charges that they never led a coup, but were rather at the other end of one, referring to the rejection of "electoral legitimacy and forcing opinion and guardianship on the public [by the army] despite its expressed will." Echoing President Morsi's assertions that he has called for dialogue, El-Beltagy says: "We did not refuse to compromise; we have asked asked for dialogue again and again and presented solutions for the crisis, in accordance with the consitution, yet they insisted either on [Morsi] stepping down or swift presidential elections and by force of arms, even though they could have achieved total change, government, presidency and constitution through peaceful tools if they manage to acquire parliamentary majority - if they are confident that the people are behind them. 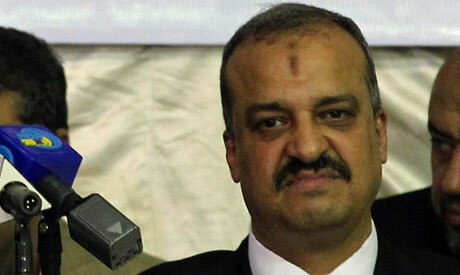 Egyptians are expecting a statement from the Armed Forces as soon as the 48-hour deadline hits, around 4pm Cairo time. Muslim Brotherhood died for Good.....Will never come to power on earth again!! Muslim Brotherhood died once and for all. It will become a year history for the Muslim brotherhood's around 100 years fight for Muslim freedom on earth. America and Israel are successful in this regard and America (The USA) will issue another publication that Muslim brotherhood is a terrorist group!! US will include Muslim Brotherhood into its Black list soon. ahahahahaha.....Dirty politics, This Shows, Egyptians will never come out of independent of America (USA)(i.e. the only modern colonization on earth)! !